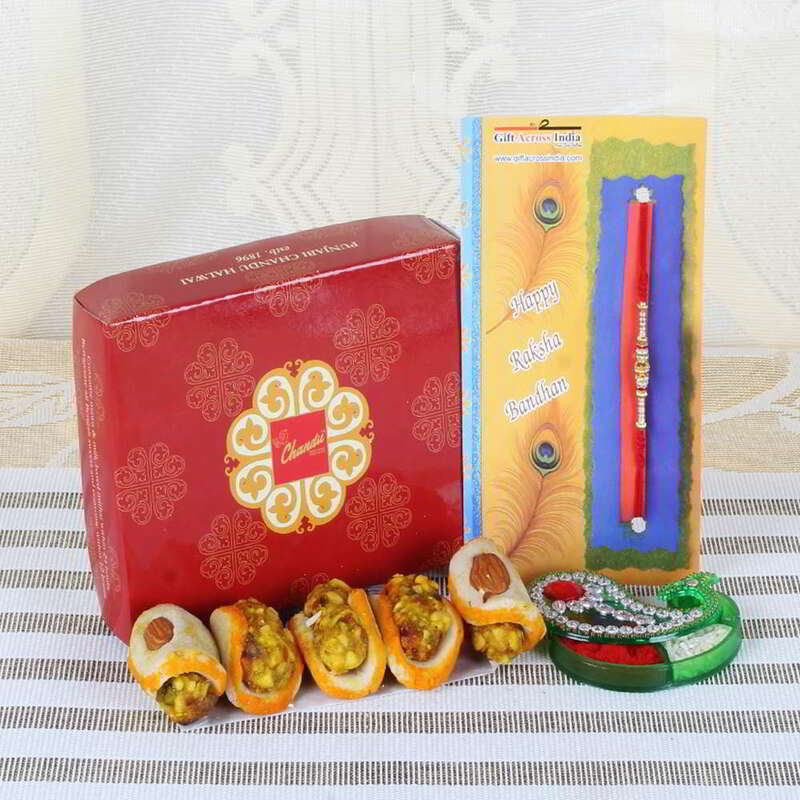 Gifting Badam Tacos Sweets with a Charming Designer Rakhi for your brother on the Raksha bandhan occasion can be the perfect experience. 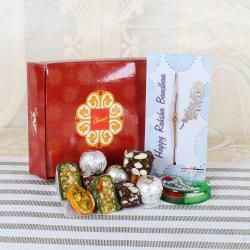 It is filled with the delicious tacos sweets and a rakhi. 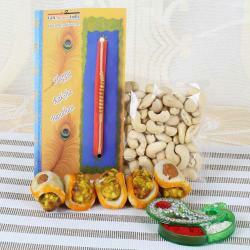 It is the best way for you to treat your brother in a good manner with the perfect gift item. You can send it without any hassle through the gifting portal and enjoy and gift a good experience to your brother at convenience who stays not near you. 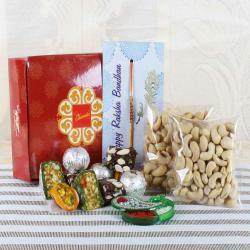 On the online sites, you are able to successfully find the most beautiful gift item for your dearest brother. It is an opportunity to show your love and care to them on the festival season. 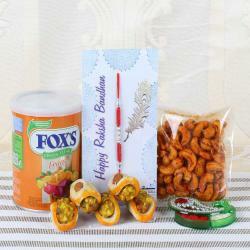 Product Consist: Badam Tacos Sweets (Weight: 200 gms), Charming Designer Rakhi along with Roli Chawal Container.